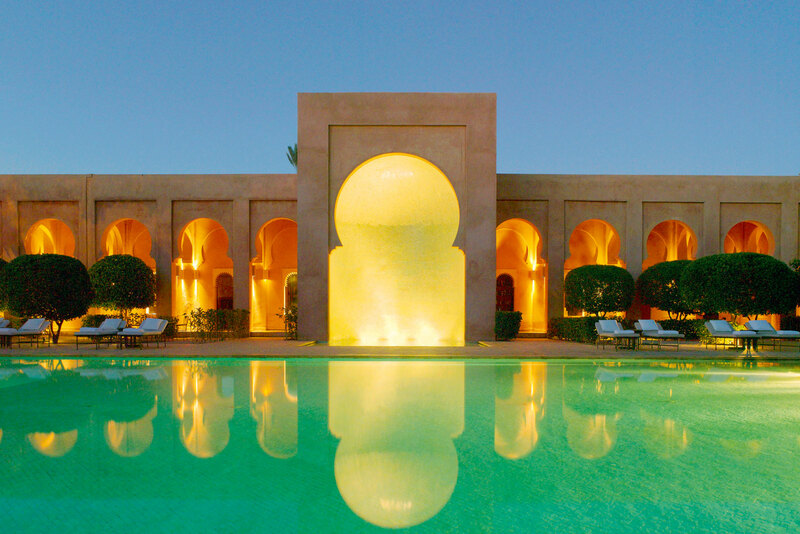 Amanjena Spa in Marrakech, Morocco. Take a deep breath, relax and unwind; we have the world’s most indulgent spas here waiting for you. Everyone’s fave Aussie luxury island is getting a bit of treatment herself and will soon reopen under the watchful eye of the the luxe One&Only brand. Scheduled to open in September, this addition to the venerable Raffles brand will feature sleek, modern interiors and, more excitingly, a signature spa. We can’t wait! Anyone who has stayed at a Pen (or even walked through a lobby) will know they are posh with a capital P, so the 1800 square-metre spa that will feature in the Paris property when it is unveiled in August this year is sure to be sublime with a capital S.
Former Vogue Australia editor in chief Kirstie Clements knows a thing or two about spas, having road tested a lot over the years. We asked for her top picks from around the world, and here they are in no particular order. The lavish, oriental-style luxury spa housed in the five-star Montage Hotel in Beverly Hills has a wonderful heated pool area and the treatments are par excellence. Remarkably intuitive ‘Surrender Therapists’ assess your needs and will recommend personalised treatments (‘A Personal Journey’) to suit. After just one combined massage and reflexology session, I felt an immediate and unexpected new sense of happiness and wellbeing. Location, location, location! The local Balinese therapists are a delight, the cabins are perched over a steep coastal cliff, and the soundtrack consists of thunderous waves crashing below and birds chirping. There is a light breeze playing over your body through the open window as you undergo a massage that feels as if your entire body has been relaxed and rearranged. One of the world’s most naturally gorgeous spas. The vast scale and beauty of Amanjena in Morocco (pictured) is mirrored in its luxury spa, and the Hammam experience is sublime. All the traditional sybaritic delights of the culture are on offer here: the body scrubs, steam baths, fragrant oil massages, delicate sweet treats served with mint tea, all delivered with the most incredible finesse while you listen to the storks clack clacking away in the date palms.